If Rand Paul’s Republican colleagues have their way, the Kentucky senator won’t have to worry about presidential poll numbers for much longer. On Saturday, the AP reported that the GOP was pressuring Paul to drop out of the presidential race in order to focus on his upcoming Senate re-election bid instead. According to sources close to the candidate, Paul’s White House campaign had simply run out of steam. “I wanted to support him because he's the real deal, but his strategy is just awful,” Texas billionaire and Curves health club founder Gary Heavin told AP reporters this week, specifically citing Paul’s aggressive attacks on Donald Trump as “alienating” to his largely anti-establishment voter base. Heavin made sure to add that Paul was still more than capable of holding down a successful tenure in the Senate. “He is going to be a very, very effective senator," Heavin said. A Public Policy Poll this week showed that Paul had managed to garner just 1 percent of the prospective Republican vote. The Kentucky senator fared only slightly better in a Real Clear Politics aggregate of polls, with the majority of October numbers placing him at just 2.8 percent. Compounding Paul’s misfortunes were fundraising totals released by the Paul camp on Thursday, which showed that he had managed to rake in just $2.5 million over the last quarter, lagging behind powerhouse rivals like real estate mogul Donald Trump and Texas Sen. Ted Cruz, who managed to raise around $13 million and $12 million respectively. But even Trump and Cruz’s recent fundraising quarter totals were dwarfed by the numbers of retired neurosurgeon Ben Carson, who has skyrocketed to second in the polls recently. According to financial bankroll numbers released by Carson’s camp on Wednesday, the sudden Republican darling managed a historic haul of over $20 million in the third quarter, making him the undisputed fundraising winner of the past few months, and throwing Paul's underdog campaign into even greater chaos. Despite the bleak outlook, a 1,200-word memorandum from Paul’s chief strategist Doug Stafford and campaign manager Chip Englander this week denied that campaign was in any serious trouble, instead shifting blame to the media for its supposedly inaccurate reporting. 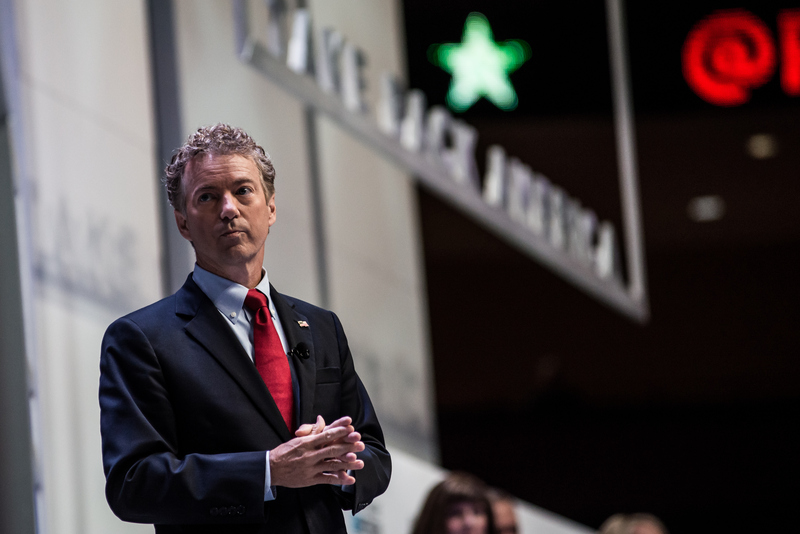 The Paul staffers did not elaborate on other issues that may have affected the campaign’s momentum, such as the Kentucky senator’s shaky debate performance, which have been the cause of at least some of the speculation about his potential drop from the race. At the first GOP primary debate in August, Paul spent the majority of the evening aggressively attacking his fellow candidates. “This is what’s wrong,” said Paul, pointing to rival Trump. “He buys and sells politicians of all stripes!” Paul also took on former New Jersey Gov. Chris Christie, accusing him of being on board with President Obama’s support for federal government surveillance. “I don’t trust President Obama with our records — I know you gave him a big hug, and if you want to give him a big hug again, go right ahead,” Paul said, referencing Christie’s meeting with Obama in his home state after Hurricane Sandy in 2012. Paul’s performance at the second debate was equally unimpressive, though he managed to get in a few key arguments about failed drug incarceration policies and a comment about his opposition to the Iraq War. “The first war was a mistake and I am not sending our sons and daughters back to Iraq,” Paul said. Neither of Paul’s arguments did much in the way of swaying his campaign’s direction, though, as evidenced by a Fox News poll this week. Despite Paul’s initial rise in early surveys this past spring, when he hovered at an average of 5 to 6 percent overall, the past few months have yielded a steady decline for the beleaguered candidate. Considering that party favorite Scott Walker suffered a similar fate just weeks earlier, and given that one of Paul’s main financial backers, a super PAC called PurplePAC, cut funding back in September, the likelihood that Paul will eventually be forced out is beginning to look more and more plausible. With just over $2 million left in the bank and an increasingly bleak outlook, Paul’s rivals are dwarfing his 2016 presidential bid at every turn. Rather than spending the remainder of the year trying to fight a losing battle, Paul would do well to refocus his efforts on the Hill, or risk losing his political career altogether.